Art in Action returns to the Bainbridge Island Museum of Art (BIMA) for the second year. In this podcast, the art museum’s education director Kristin Tollefson tells BCB about the fun activities for budding artists of all ages during the school break period, It’s offered Saturday Dec 19th to Wednesday Dec 30th. Whether you are looking for an art project for the whole family or just looking for a relaxing place to escape from the business of the season, the upstairs Beacon gallery overlooking Waypoint Park is where you can slow down and give your left brain a rest. 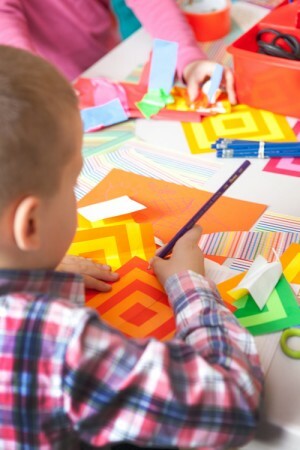 Let your creative side surface and make ornaments, gifts, cards or decorations every day from 11am till 2pm. Drop in or plan ahead with the list of activities increasingly being posted at BIMA’s Art in Action web page. No reservations are necessary, and there is no charge, so there’s no excuse not to take a break and stop by the art museum for a cuppa hot chocolate and a light, easy, fun art project!